1. 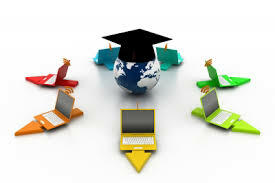 Accreditation is very important when looking for the right online education. Most legitimate learning institutions are fully accredited colleges and universities. If a school is not accredited, employers may not recognize the degree you have earned online, so accreditation is very important. Schools get accredited by special accreditation bodies. These bodies certify that these schools they accredit are competent in educating their students to become good at the field they choose to pursue. 2. Type of program you choose can also play a key role in getting your education online depends on what degree you choose to pursue. Not all college courses are available online. Many schools do offer completely online courses, but some might require you to attend classes at their campus or community campus also. 3. Can you do a combination of online and physical courses? For some degrees, this might be one of your best options. Many of the nationwide colleges have community campuses throughout the US. Some of the most common schools which offer a combination of the two include DeVry University, IvyTech, and Brown Mackie College. Many of your state universities also have community campuses in different parts of your state. 4. Flexibility and your schedule can play a role on how you can complete your studies. Most people who like to get their degrees 100 percent online are very busy and having a flexible course load is very important, so you may want to do your research when looking for an online course plan. 5. Financial aid is also important, especially if you are from a low income family. There are many financial aid programs available from both the government and the private sector. You may have to apply for student loans, but you may also be eligible for grants or other scholarships depending on your chosen field of study. 6. Like what you are about to do because once you have chosen a course plan, you may not be able to change if you decide you don’t like the program. In some cases, you might loose your financial aid if you change schools. Check different educational institutions before selecting a particular program. 7. You may also want to check if the college credits you earn from your online course program transfer over to other schools incase you want to continue your studies to enhance your career. There is nothing wrong with earning your college degree online. Simply follow this simple advice in this article and you should be good for a good college degree in a productive industry which can land you the career which gives you a good paying job and the financial freedom you deserve.